- Publisher This book tells how the 'golden shore' bought bitter hardships, imprisonment, and family tragedy. 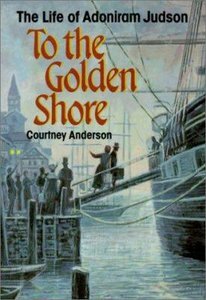 About "To the Golden Shore"
This book tells how the 'golden shore' bought bitter hardships, imprisonment, and family tragedy. Dr. Courtney Anderson, a nationally renowned corporate trainer in leadership and employment law, and workplace compliance. Customer Reviews For "To the Golden Shore"
To The Golden Shore is a very well researched, thorough book. I like the way that the author writes, drawing off letters and articles, but still written as an engaging story. The story itself is amazing, full of hope, perseverance, determination and faith. I loved it!